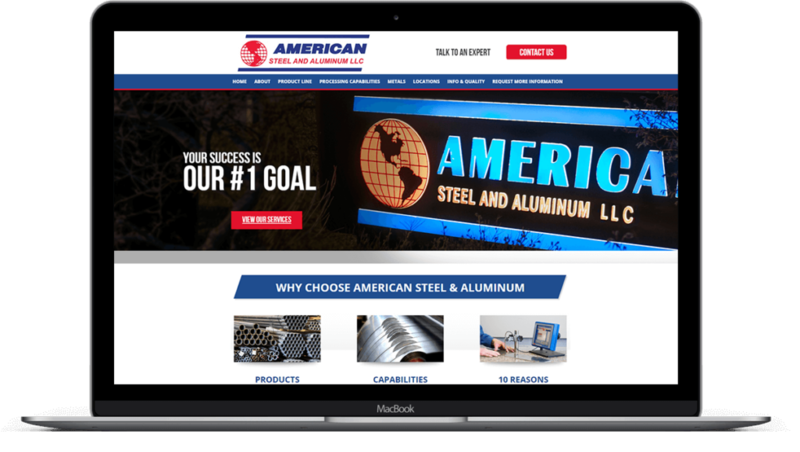 American Steel & Aluminum’s primary challenge was a website built on old technology. 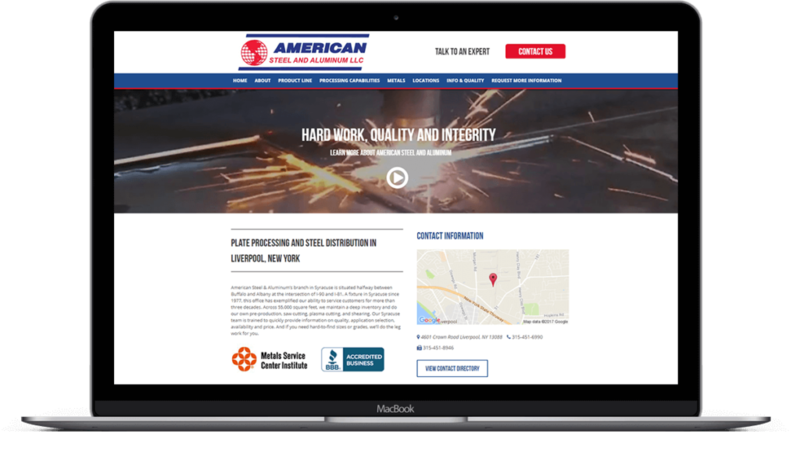 They wanted an upgrade so their site would receive more traffic, drive more leads, and convert more visitors into customers. Using the process of continuous improvement, we identified short and long-term wins that we could put to use right away. We did quick updates like adding call-to-action buttons throughout the site to immediately improve conversions and optimized keyword use on location pages to drive more local traffic. We also enhanced the back-end performance to allow for rich media, including video.